Since I have become a mother, my world has changed. I can’t say that I was prepared for everything I was about to encounter. The baby, yes. The critique and stereotypes, no. I was tossed into a completely different universe than what I once knew, where every single move and decision comes with countless remarks of ridicule and judgment. This motivates my work. Being completely oblivious to how other perceive mothers, I have felt the burden of these unwanted stereotypes that are associated with my newfound title, such as children before marriage, postpartum body issues, and breastfeeding. What once was a strong minded individual, now became the center for ridicule with every step I took. The feeling was heartbreaking, and I wanted to change the misconception. I’m exploring the insecurities that motherhood brings on an individual’s psyche, and through photographs, bring them to the public light. Each image is composed out of multiple images and stitched together, creating beauty through the complexity of the situations depicted. Converted into black and white, to create a timeless effect, they represent mothers from the past, present, and future. 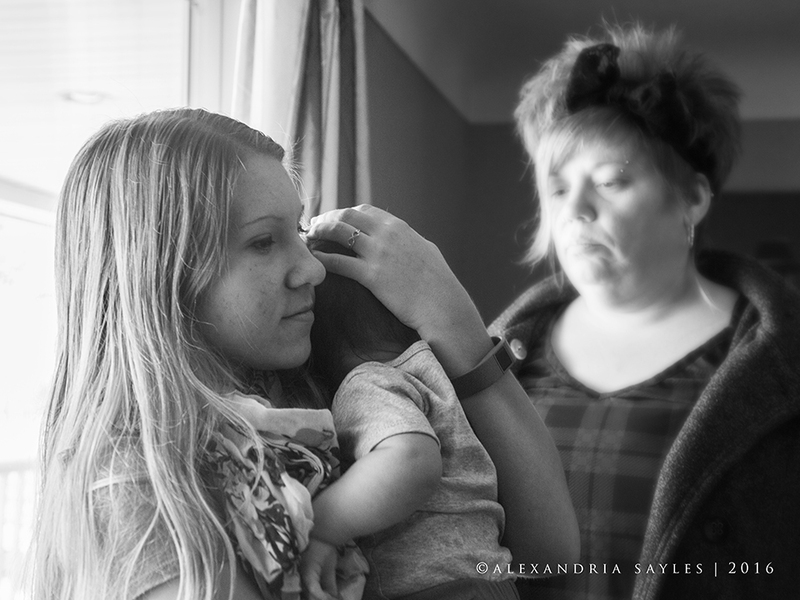 With these photographs, I aim to help other mothers, who like myself, have let the judgment get to them and help everyone embrace their insecurities, so that viewers can see the beauty in the struggle on the road to self acceptance. I want to show others who may not know of these obstacles, and daily struggles being a parent entails and help them empathize with every insecurity portrayed. Each photograph tells a story; someone’s struggle, triumph, and fears, which mold us to the people we are today.